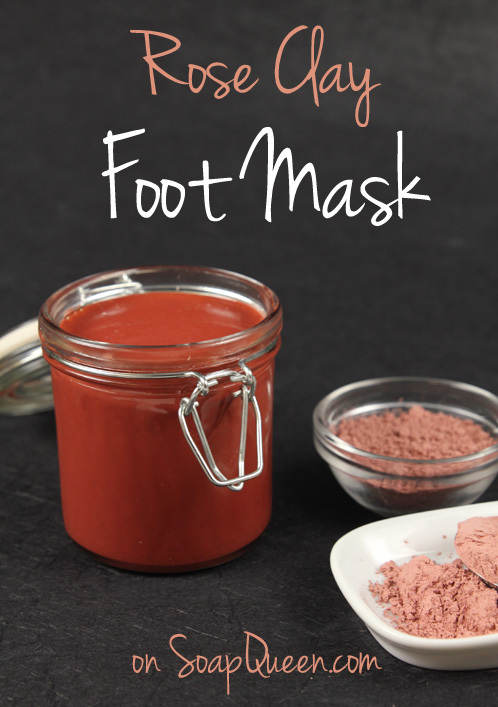 The third step in our pampering home pedicure series is applying this thick, moisturizing foot mask. Featuring rose clay and kaolin clay, this mask purifies and detoxifies the skin as the avocado extract and vitamin E oil moisturize and nourish. For a step-by-step how to guide on giving yourself a home pedicure, check out the free PDF guide. The cute labels for the jars are also available as a free PDF item! This project is part of the Happy Feet Home Pedicure series. See all the projects here: Moisturizing Heel Balm, Cranberry Seed Foot Scrub, Invigorating Foot Soak and Summer Shimmer Nail Polish. ONE: In a large bowl, whisk together the Rose Clay and Kaolin Clay and set aside. 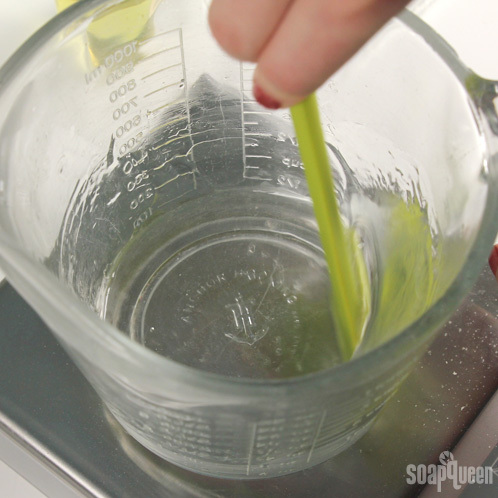 TWO: In a separate container, combine the Glycerin Liquid, Avocado Extract, Vitamin E Oil, Peppermint Essential Oil and Optiphen ND and stir thoroughly to combine. THREE: Slowly pour the liquid mixture into the clay, stirring to combine. Continue to stir until all the clumps are gone; this can take a little elbow grease! 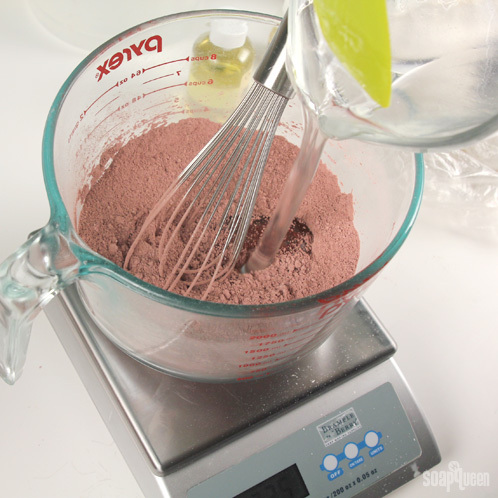 FOUR: Once the mixture is smooth, pour your mask into an 8 oz. Bail Jar. Store in a cool, dry place. This Rose Clay Foot Mask is rich and hydrating. It leaves feet feeling extremely pampered! 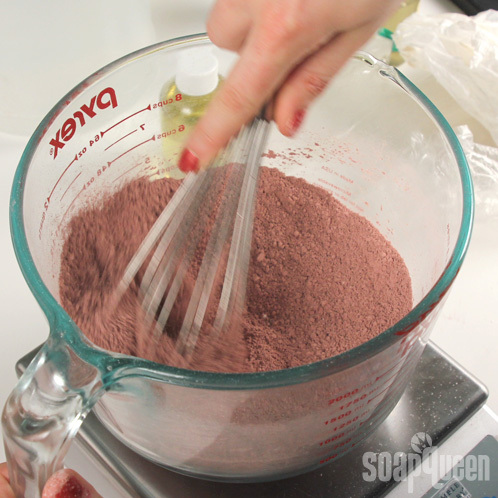 In a large bowl, whisk together the Rose Clay and Kaolin Clay and set aside. In a separate container, combine the Glycerin Liquid, Avocado Extract, Vitamin E Oil, Peppermint Essential Oil and Optiphen ND and stir thoroughly to combine. Slowly pour the liquid mixture into the clay, stirring to combine. Continue to stir until all the clumps are gone; this can take a little elbow grease! Once the mixture is smooth, pour your mask into an 8 oz. Bail Jar. Store in a cool, dry place. Does this have to go in a glass vs plastic jar??? I just ordered the plastic!? You’re welcome Verica, so glad it turned out well! Just select “Lotion” from the drop down menu! Hi. Do you have to use preservative with this recipe? Is there a difference between avocado extract and avocado oil? I have oil at my home, but not extract, but not finding if there is a difference at all in using one over the other. Thanks! Avocado oil is Persea gratissima (Avocado) Oil, while the extract is a mixture of Caprylic/Capric Triglyceride and Persea Gratissima (Avocado) Fruit Extract. Avocado oil is thicker and slightly more yellow. What that means for your products is that extracts are typically used at 1 tsp. per pound of product. Avocado oil, on the other hand, can be used around 20% in your cold process soap recipes and higher in other recipes. 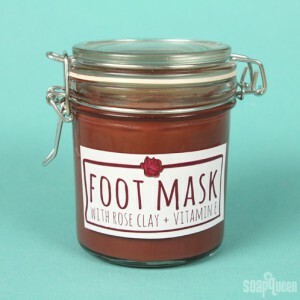 I recently tried this formula and I’m in love with the mask, my question is if I don’t have anymore Rose Clay can I use Moroccan Clay with the Kaolin Clay? hi there found your fab website and just wanted to know how long can you keep the mask for and what storage conditions should it have. Am going to soap school in London shortly so glad I found your website. Can I mix the clays with water and phenonip, pack in a jar to make a ready-to-use product? Thanks! Adding water will change the consistency of this mask, and it may separate as well. You may want to make a small test batch beforehand. From the first two pictures, it looks like I should have something a bit more liquidy… Any suggestions?Should I add more glycerin to it? Keep stirring (I probably will anyway, I can still see a few tiny lumps–can we say “add insult to injury”)? Warm it up a bit? Oh no, I’m sorry to hear that! Also, we had to stir this recipe for quite a while! This might be a dumb question but what would the shelf life on this be? Not a dumb question at all :). Glycerin has a shelf life of about twelve months when stored in a dry, cool place. This product will have about the same shelf life. I hope this helps! I made this the other day and used kaolin clay and Dead Sea clay because I didn’t have any rose clay. I absolutely love it and the only problem is that I decided to do the bottoms of my feet as well. Yeah I didn’t really think about that, in advance. So right now I’m typing this while lying on my back with my feet hanging over the tub lol. On a positive my feet will look fabulous. Thank you for sharing this recipe. Haha, oh too funny :). I’m so glad you gave this recipe a try! I’m sure the Dead Sea Clay works wonderfully as well! I am all the way down in South Africa and needless to say I am as such a HUGE fan. You have done soo well for yourself and the soaping fraternity. Keep on keeping on!! My question concerns the use of the preservative . Do I need to do so even if you didn’t use water. This looks like a really nice mask….can I make it and give it away as a face mask as well?